… WITH SIGNIFICANTLY INCREASED TERMS: BEST IN MARKET! 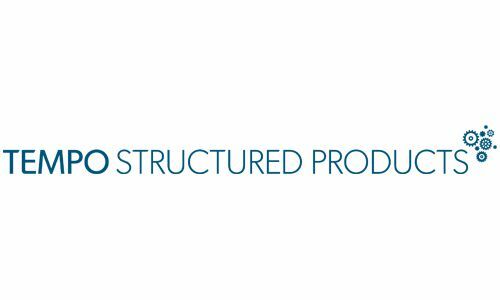 Tempo Structured Products has just unveiled Issue 5 of its product suite, with a start (strike) date of 22 February. A very important point for investors in structured product to understand is that unlike other types of investment, the terms of certain types of structured products can actually increase when the stock market is volatile, as it is currently. This means that investors can potentially benefit from such periods. And that is certainly the case with Tempo’s new terms, which have increased significantly. Check out the coupon levels for all 3 options of Tempo’s Long Kick-Out Plan. These are the best terms in the market for comparable kick-out products. Take a good look at Tempo’s unique Long Growth Accelerator Plan: the terms are exceptional (and better than all comparable kick-out products in the market). We think this plan is one of the very best in the UK, bar none.3. And if you are wanting income from your investments, do consider Tempo’s Long Income Plan, which provide a lower risk, longer term, ‘boring’ income strategy. We think income investors like boring, in other words lower risk!You can find a summary of the products below, including details of the increase in the current terms, compared to recent issues. With such exceptional terms, demand is expected to be high. So, we’d suggest that you contact us swiftly to discuss how to invest in the plans, on BestPrice’s best terms for investors, while they are still available. Tempo’s Long Kick-Out Plan (counterparty Société Générale) optimises the popular kick-out strategy, through the simple step of combining a longer maximum term, with short term kick-out potential, and defensive index conditions. These are the best terms in the market for comparable kick-out products. Tempo’s Long Growth Accelerator Plan (counterparty Société Générale) is the only product of its kind in the market, combining a defensive 10 year ‘super tracker’ with a 5 year kick-out, in a ‘2 in 1’ strategy plan, offering exceptional compound annual growth potential. For Option 2, the potential kick-out return of 140% at Y5 is equivalent to 28% p.a. simple or 19.14% p.a. compound, while the maximum growth return of 180% at Y10 is equivalent to 18% p.a. simple or 10.84% p.a. compound. Simply put, we can’t think of any other investment fund or product more likely to deliver such strong double digit, compound returns, with a defensive risk / return profile, as this unique and innovative plan. Tempo’s Long Income Plan (counterparty Morgan Stanley & Co International plc) optimises provides a lower risk, ‘boring’ income strategy. The plan also includes an early maturity feature, if the index has risen by 25% or more, at any annual income date from the 5th anniversary. > the coupon for option 3 of the Long Kick-Out Plan now offers 14.75% p.a., i.e. an additional 3.65% p.a. designed so that they can generate some or all of their returns without requiring the market to rise, with a defined level of protection should the investment index fall, related to the plan in question. In addition, ALL of Tempo’s products benefit from the firm’s operational strength and approach to governance, are backed by strong issuers / counterparties, and are based on a single index, with a deep end-of-term barrier. These are the Tempo hallmarks: straightforward, lower risk structured products. We think this approach has real merits and can add real value for investors in balanced and diversified portfolios, in the current market environment. As with all forms of investment there are risks involved. These plans do not guarantee to repay the money invested. The potential returns of the plans and repaying the money invested are linked to the level of the stock market and also depend on the financial stability of the Issuer and Counterparty Bank. Please ensure that you view the plan documents for full details of the features and the risks. These plans are NOT Deposit Plans so do not carry the protection provided by the FSCS. … and the terms of Tempo’s 5th product suite are the most exceptional that they have offered, due to a number of factors, although mainly down to the recent investment market volatility. We actually ‘love’ the shape of the plans offered by Tempo but you must remember that these plans require financial ‘advice’ to be purchased. Tempo will not enable the purchase of their plans without an investor gathering advice on the investment to suit their personal needs. We have spoken to many of our investment clients about Tempo’s plan range in order to explain that the headline potential return, when measured against the investment market risks, counterparty risks and general product risks and governance, are at a level that we feel that it’s a ‘no brainer’ to consider adding the Tempo plans to an overall investment portfolio/programme. For investors interested and considering investing in the Tempo plan range, simply get in touch on 01639 860111 in order to start the ‘suitability process’ of ‘Know your Customer’ at the best price available in the UK.